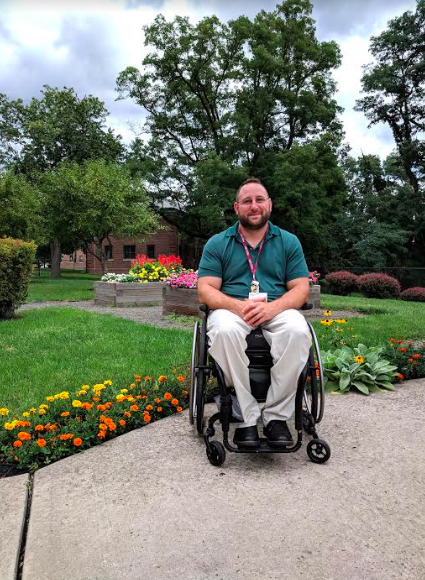 West Haverstraw, New York – Helen Hayes Hospital has appointed Peter Gagliardo to the position of Coordinator of the Helen Hayes Hospital Adapted Sports and Recreation Program. Gagliardo will lead the hospital’s 4-season Adapted Sports and Recreation Program, one of the largest and most comprehensive adapted sports programs in the country. Gagliardo has served as a peer mentor for Helen Hayes Hospital patients for 11 years and is an active disability advocate, speaking at conferences and volunteering his time to create change. He is also an avid adapted sports proponent and participant, competing on the Hospital’s Helen’s Angels handcyling team, completing over 30 marathons, playing an instrumental roll in the early development and creation of Roll Call Wheelchair Dance, and encouraging patients of all abilities to be active. The Adapted Sports and Recreation Program at Helen Hayes Hospital provides access to and education about adaptive sports and recreation activities for individuals of a wide range of abilities. The program is open to both former patients of the hospital as well as individuals with disabilities living in the community. Adapted activities offered during the year include gardening, handcycling, skiing, sled hockey, rowing, sailing, kayaking, rock climbing, softball, power soccer, basketball, yoga, and more. For more inforatmion, contact the Adapted Sports and Recreation Department at 845-786-4950.